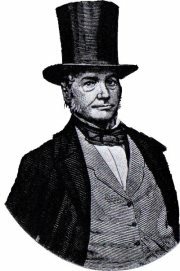 James McLevy was one of Edinburgh’s first detectives. In his 30 year career, from 1830 until his retirement in 1860, he took on 2,200 cases, and almost always secured a conviction. He frequented the forensics department at the University of Edinburgh, eager to use the latest scientific advances to solve crime. He is said to be the real-life inspiration for Arthur Conan Doyle’s famous detective, Sherlock Holmes. “Lynx-eyed McLevy” (The Scotsman, 1842), Victorian Edinburgh’s best-known detective, was born in Ballymacnab parish, County Armagh, in 1793/4. By 13 James McLevy was a fine-linen weaver. Married and widowed young, he settled in Edinburgh. In 1830, builder Robert Paterson recommended his promising Irish labourer to Captain James Stewart, superintendent of Edinburgh police. A dangerous fever in 1833 almost ended McLevy’s new career of night watchman (constable). Warned to stop night work, he tried to resign. Instead, Captain Stewart promoted him to criminal officer. “For a thief or robber to be ferreted out or pursued by M’Levy was held equal to his being caught”, wrote a contemporary. Widely publicised exploits included giving evidence to a House of Commons select committee on transportation in 1856. In retirement, McLevy launched a new career of writer. Curiosities of Crime in Edinburgh, true crime stories (slightly embellised), appeared in 1861 and sold out fast. His second volume, The Sliding Scale of Life, was a hit too. After his death in 1873, his stories inspired William Crawford Honeyman’s fictitious Edinburgh detective, James McGovan. Also, of course, Detective McLevy is widely cited as the inspiration for Arthur Conan Doyle’s Sherlock Holmes.